Pre-Grand Opening Sale At The New Wilkin’s RV Location in Victor, NY! We have some exciting Wilkin’s RV news to share… are adding a new location in Victor, NY to our RV family and are celebrating with a Big Pre-Grand Opening Sale from March 30th to April 8th, 2017! Come visit our New Victor Location and take a tour of our exciting New Sales Department. 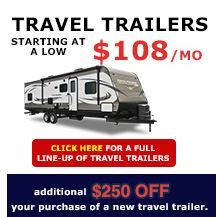 We have a lot full of new and used RV inventory to show off. Our friendly RV specialists will help you find just the right RV to suit your travel needs. 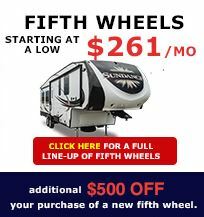 This is the perfect opportunity to get ready for the start of the spring camping season with a a new, state of the art Class A or Class C Motorhome, Fifth Wheel, Travel Trailer or Toy Hauler. Our Victor, NY Pre-Grand Opening is a party… Let’s make a deal! Have questions about Financing or Insuring an RV? We can answer them! We want to make your RV purchase as easy as possible by making our dealership a one stop resource for all your RV needs. 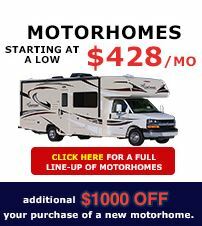 You can even apply for RV Financing Online securely from the comfort of your own home! Don’t miss out on incredible RV savings this March 30th- April 8th at Wilkin’s RV in Victor, NY! Contact Us or call 585-924-9161 for at Wilkins RV for all your RV related questions!